Can you tell I took an extra long weekend? Things at my house have been hectic for the past few weeks and I am just trying to do the best I can on all fronts. Hopefully it will get better soon. This past weekend it was raining cats and dogs here in Orange County. I lived in Seattle, WA for about eight year and I visit about every two months since my family still lives there. The rain doesn’t bother me in Seattle, but for some reason after few hours of rain in CA I get grumpy. I wonder why? Oh, yeah, getting to my point, since it was raining all weekend I felt like watching a movie, possibly a comedy. I have seen so many previews for “Life as we know it” and I thought it was a comedy, so wrong. I spent the whole most of the duration of the movie crying. Without giving too much of the movie away if you are a parent of a young child just be warned it is a very very sad movie, make sure you have enough Kleenex on hand. Anyways, I loved the house that the movie. This colonial house is set in Atlanta. Is it just me that is being bothered by the big tree right in the middle of the photo blocking some of the house view. If it was my home I would of chopped it down by now. This is a photo of the real house. The house was listed for sale and here is the listing. 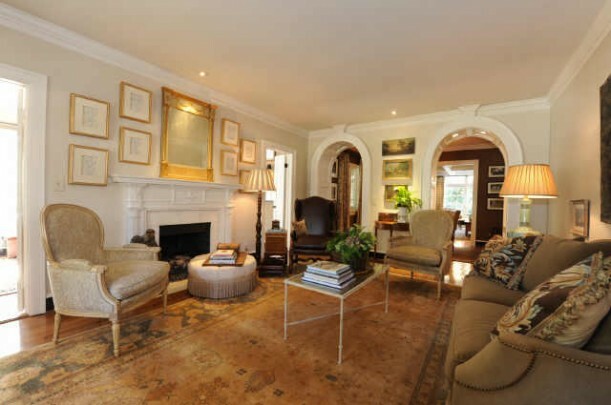 Some bloggers have stated that the movie house it’s very “Pottery Barn” style. I would have to agree but I loved it. I loved the simplicity of the design and the architectural details of the house. It feels warm and welcoming even if I wanted to see a little more color. Who wouldn’t love this kitchen? It is so big and roomy, I can live in there. I love the white cabinets and although its only a set I love how bright it looked. I like that you step down to get to the kitchen, it make is a little more interesting. Here is the actual house’s kitchen. 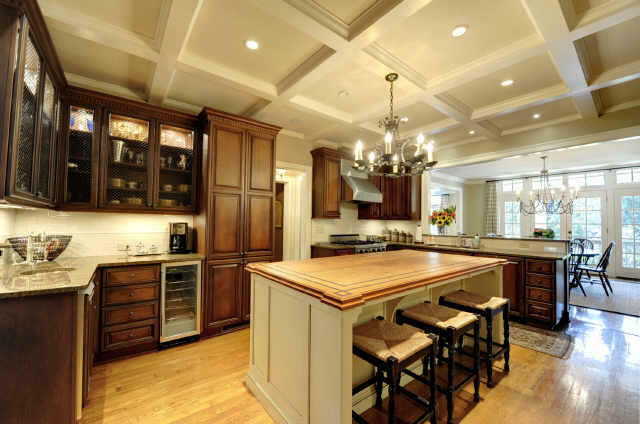 It is a little traditional for my taste, but I love the dark stain on the cabinets. This is the living room in the real house. The architectural detail of the ceiling gives the house a great character. They changed the fireplace for the movie. I actually like the stone better than the brick. 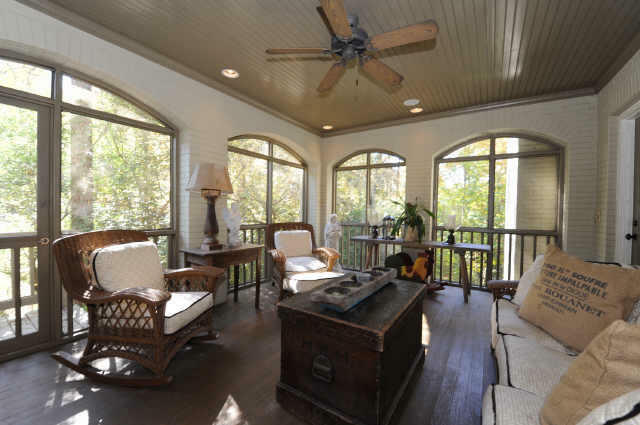 This sunroom is calling my name. All I need is some sweet ice tea and a book. I have to say I also liked "Holly"'s wordrobe that they chose for the movie; very relaxed and casual, yet somewhat girly. Happy Tuesday!